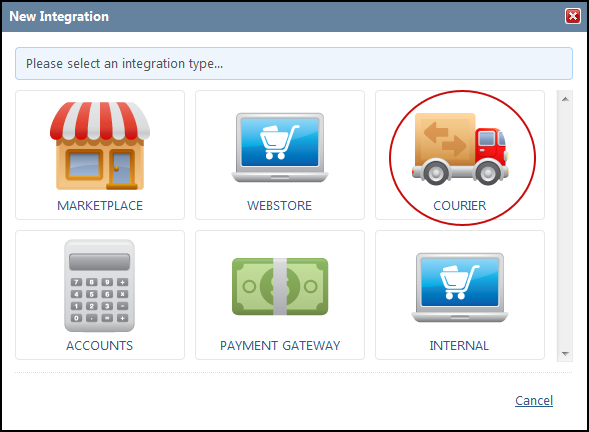 For DX integrations, we now support both DX Secure (B2C) and Business to Business (B2B) deliveries. On the next window, you can rename the integration if you wish. When ready, click the 'Add Integration' button. You will be directed to the 'Integration Details' page for DX. Under the Integration Profile section, Enter your API Username, Account Number and API password. This information will be available in your DX account. Show SKU Details - Type 'TRUE' in this field if you wish for your product SKUs to be displayed on your courier labels (60 Character limit per SKU). The below button can be used to import services that are specific to your DX account, in order to use the DX Secure (B2C) services. Once imported, these services will then appear in the services dropdown on the shipping method page. Transfer Method: Choose the method of transfer. 'Manual' is set as default for Courier API integrations. Click the 'Save' button to complete the integration.